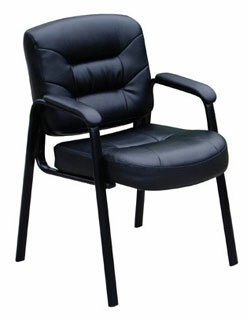 Beautifully upholstered with imported Italian Full-Grain Leather. Passive ergonomic seating with built-in lumbar support. Padded armrests covered with Caressoft upholstery. Seat Size: 20″w x 17″W. Overall Size: 23.5″W x 24″D x 34.5″H.